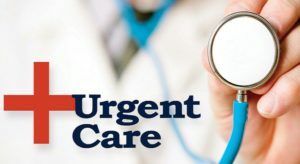 Urgent care is the delivery of ambulatory care in a facility dedicated to the delivery of emergency medical care outside of a hospital emergency department, usually on an unscheduled, walk-in basis. StatMD specialize in dealing with all kinds of medical emergencies & all your routine healthcare needs in the neighborhood, your home or workplace. You have the convenience of walking in at any time of the day without worrying for an appointment to see our doctors. Because urgent care practitioners are on the “front lines” of medicine, they are proficient in evaluating and caring for any patient who walks into an urgent care center. We also work in collaboration with your primary care physicians and specialists to ensure continuity of care when they are unavailable to care for you. Equipped with the latest technology and offering life-saving procedures backed by distinguished emergency care doctors, well-trained nurses and other paramedical staff, Hospitals can handle all kinds of medical emergencies.